We’ve been to the Red Flame Diner, the Frick Collection and the Whitney. Now it’s time to clear our heads of comfort food and culture so Monsieur and I head across to Central Park. Every time we’ve visited together, we’ve spent a little time in this glorious lung for the island of Manhattan, and every time, we’ve discovered new sights to enthrall. The last visit saw us wading through drifts of newly-fallen snow; this time, the sun was shining and New Yorkers were out in droves, soaking up the vitamin D.
Do you think this runner stopped for some Gatorade or a big, fat pretzel after his run? Their wives, hidden by the hood, looked far more enthused. 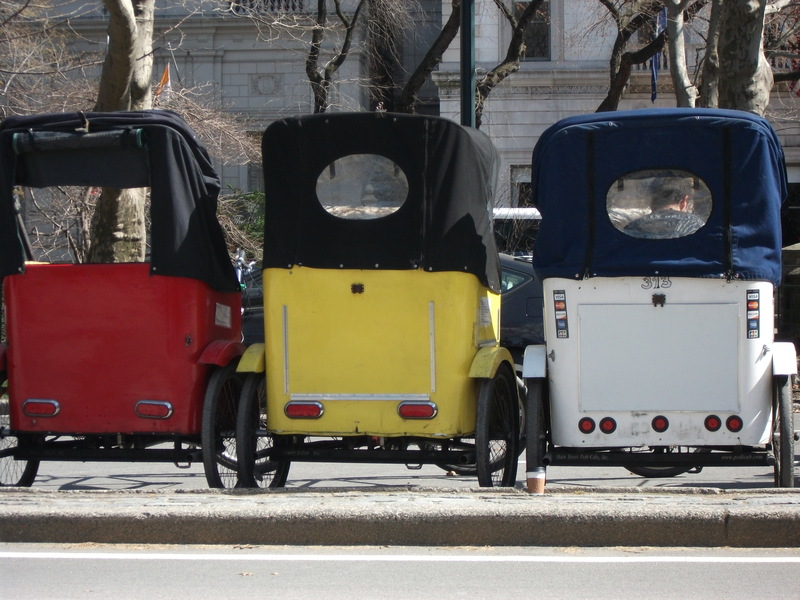 Monsieur and I didn’t feel the need for wheels, no matter how romantic the notion of a horse-drawn carriage in Central Park, so on we walked. 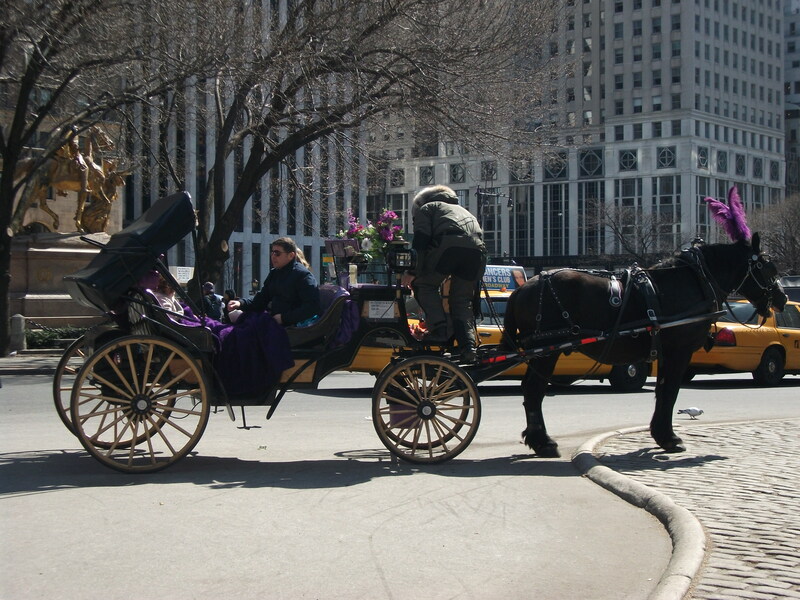 Now the carriages and tree-lined walks would be replaced by skyscrapers and New York yellow cabs, but not before we glimpse a horse proudly sprouting a bright purple feather from its bridle. 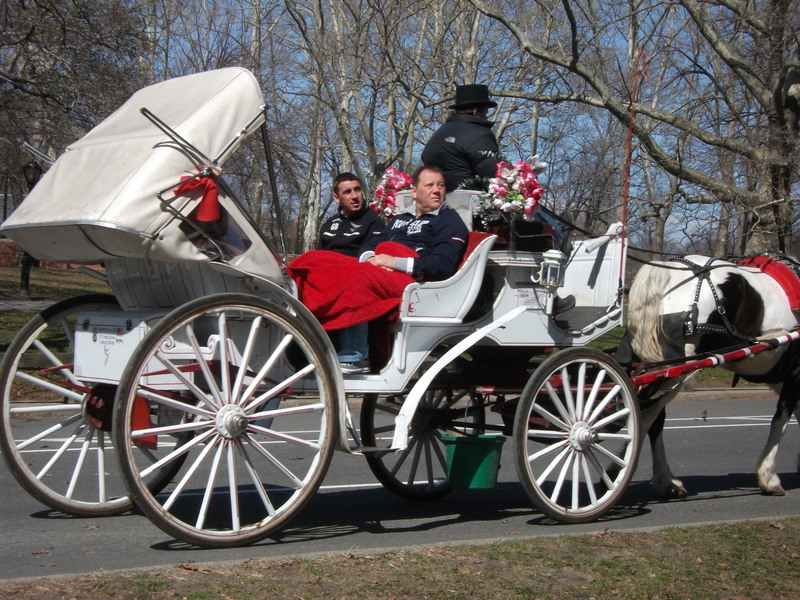 It seems that even the horses in Manhattan know that in this part of world, anything goes. Very cool! 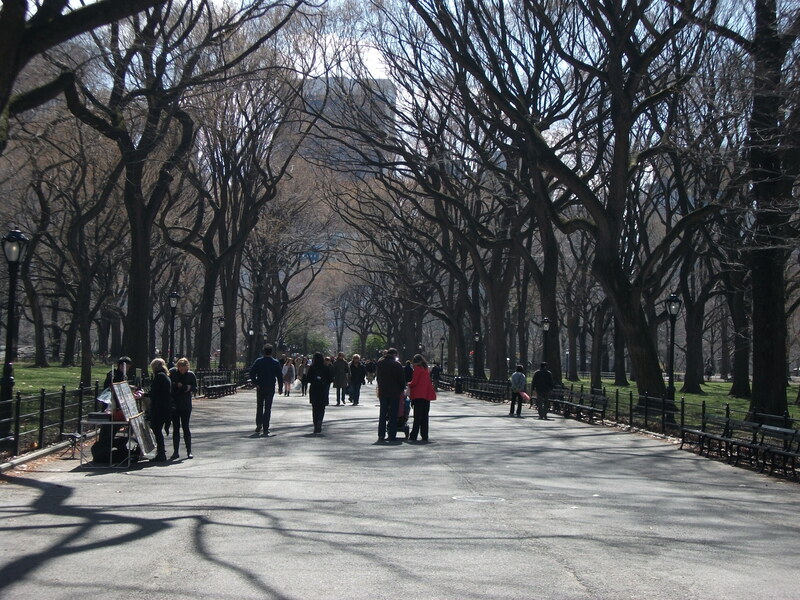 I’d like to visit New York someday and stroll through Central Park. 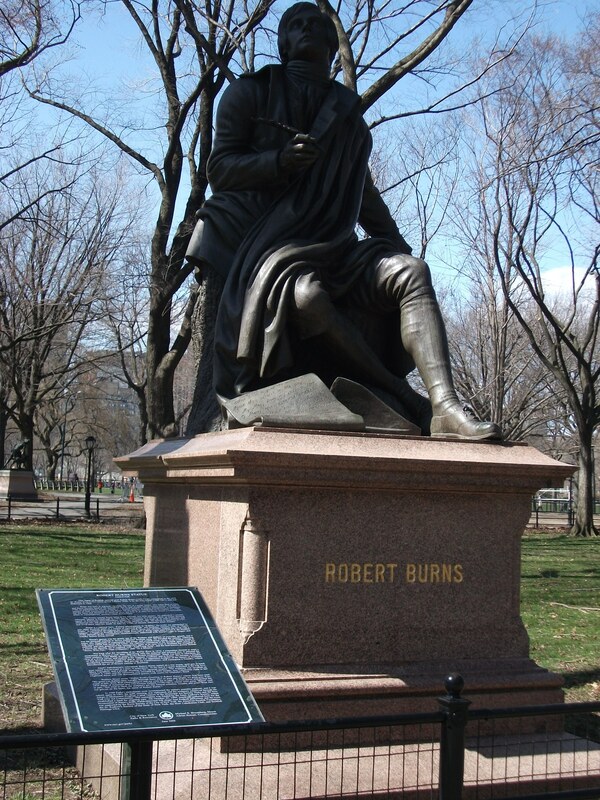 I think there is a Robbie Burns statue in my hometown, next to the second oldest grass tennis court in the world … it’s surrounded by cowfields, go figure! Interesting Post, A male is using a walk in Central park in New York. Quickly he sees a tiny woman becoming attacked by a pit bull dog . He runs over and begins battling with the puppy. He succeeds in killing the dog and preserving the girl?s life. A policeman who was viewing the scene walks above and claims: ?You are a hero, tomorrow you can study it in all the newspapers: ?Courageous New Yorker saves the living of little woman? 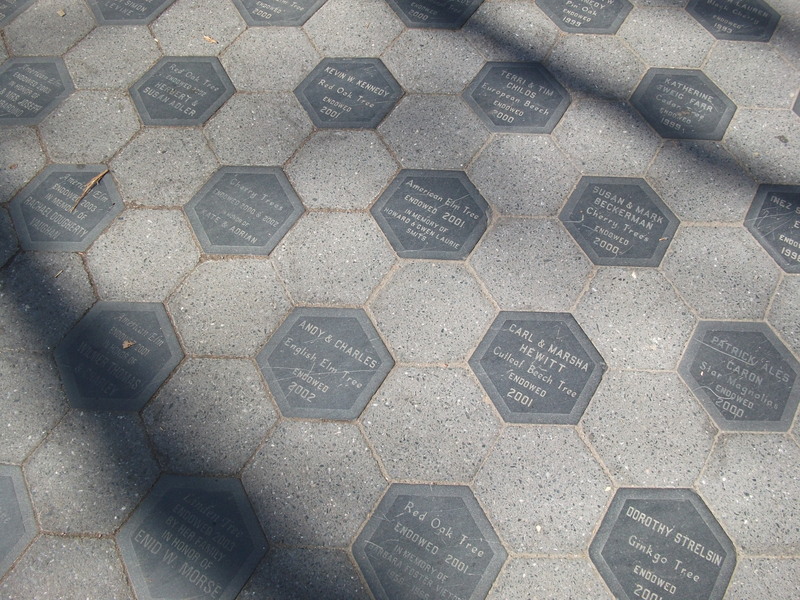 The gentleman states: – ?But I am not a New Yorker!? ?Oh ,then it will say in newspapers in the morning: ?Courageous American saves daily life of little lady?? ? the policeman answers. ?But I am not an American!? ? states the gentleman. ?Oh, what are you then? ? The guy claims: – ?I am a Saudi !? The next day the newspapers says: ?Islamic extremist kills innocent American canine. 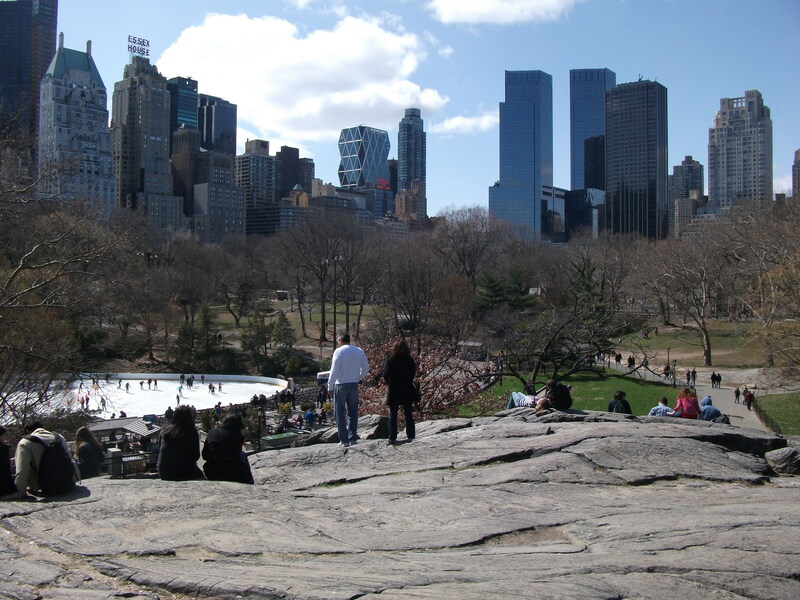 Central Park is such a great place for people-watching!